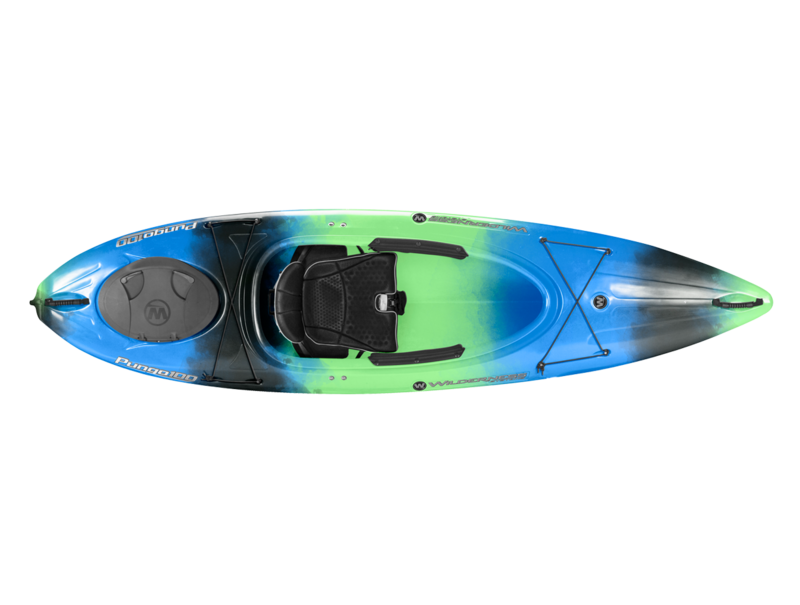 Orbix Stern Hatch: Room to keep plenty of gear and valuables safe and dry in the stern of your kayak. Stern Bulkhead: Provides dry storage in your stern hatch and keeps your kayak afloat in case of a wet exit. Phase 3® AirPro: Fully adjustable. Mesh fabric covers honeycomb-vented, ergonomic 3D foam allowing for greater airflow to keep you cool while supporting the lower back. Thigh and Knee Padding: Play Video Durable padding to maintain all day comfort in the cockpit of your Pungo. SlideLock XL Foot Brace System: Easily adjustable footbrace system for all size of paddlers. Bungee Deck Rigging: Bungee deck rigging to help hold extra gear on your kayak. Comfort Carry Handles: Soft and durable carry handles that don't overheat in the sun and allow you to pick up easily from different angles.